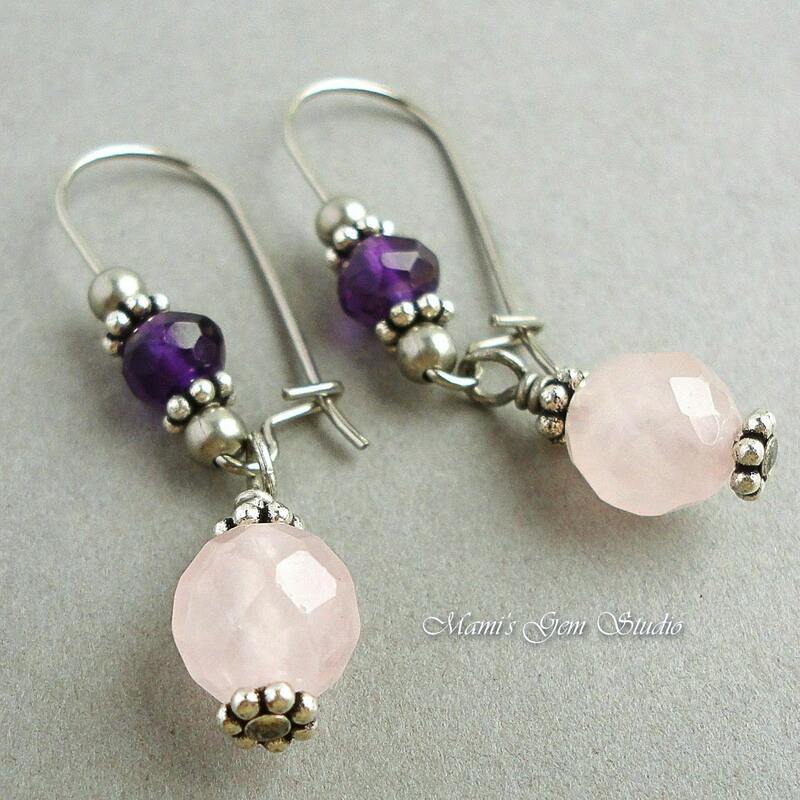 I made these lovely earrings with natural Rose Quartz faceted round beads in a delicate pale pink to dangle from 316L grade stainless steel kidney ear-wires, which I accented with natural Amethyst faceted 6mm roundel beads in a mystical deep purple with some metal spacers. Very cute pieces. *316L grade stainless steel - the same grade used in industrial and food processing applications; resists moisture and will not oxidize. Stainless steel is a hypoallergenic alternative for wearers with metal sensitivity.